Now that programs like Wirecast and vMix make it simple to perform side-by-side interviews like my recent interview with Beamr’s Dror Gill below, I’ve been doing more of them. The tension has always been regarding video quality. Specifically, do I connect a camera to my HP notebook, or go with its internal webcam or my aging Logitech C615 webcam. Even a consumer camcorder delivers better quality but adds 30-60 minutes to setup and breakdown time. 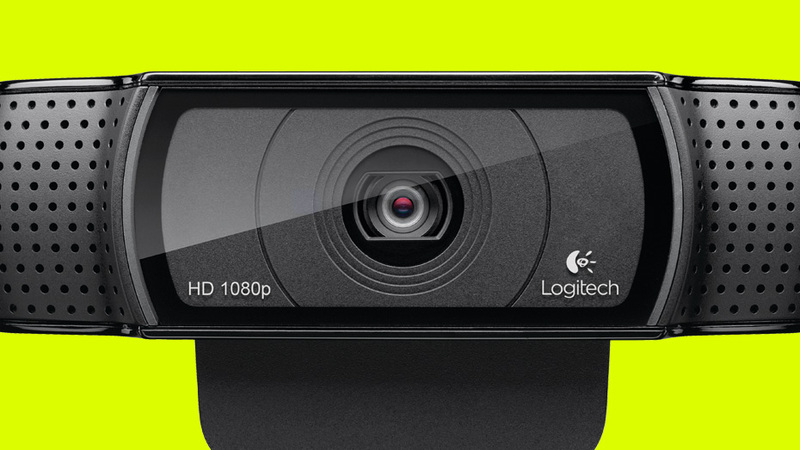 I had been considering buying a new webcam when Logitech offered to send me the C922, a 1080p USB camcorder. I eagerly agreed, and you can see the benefit in the picture atop this article. On the right is a frame grabbed from an interview shot with the C615; on the left, the frame from my interview with Gill. The new webcam provides a much crisper image with more accurate color. As a bonus, the webcam has automatic low light compensation, producing a brighter image with minimal noise despite using only top-down lighting from the fluorescent lights on my ceiling. Dror was using the webcam on his notebook, and you can see the difference in both clarity and brightness. Normally, I prop a small clamp light behind the webcam; with the C922, I don’t have to. As with the C615, you can prop the C922 atop your monitor. Logitech also added a mounting screw so you can easily use a tripod as well and includes an 18.5 cm (about 6″) desktop tripod with the webcam. Logitech also offers downloadable drivers and software that provides pan, tilt, and zoom controls, video and photo capture, face tracking, and motion detection, though I used the webcam barely out of the box and haven’t downloaded the software. There are also some gaming-oriented features that will be great for younger users, but probably won’t mean much for business users. While the stereo microphones on the webcam worked well, at least for interviews I’ll continue to use my Plantronics USB headset; I assume people care much more about how I sound than how I look. For more casual conversations, though, I’ll likely try the microphone in the webcam. Whether you’re producing interviews, Skyping, or Facetiming, it’s always important to look your best. For under $100, the C922 is an affordable way to do so. After one interview and multiple Skype conversations, I recommend it wholeheartedly.